Hampshire College would like to have a merger partner in place by June. 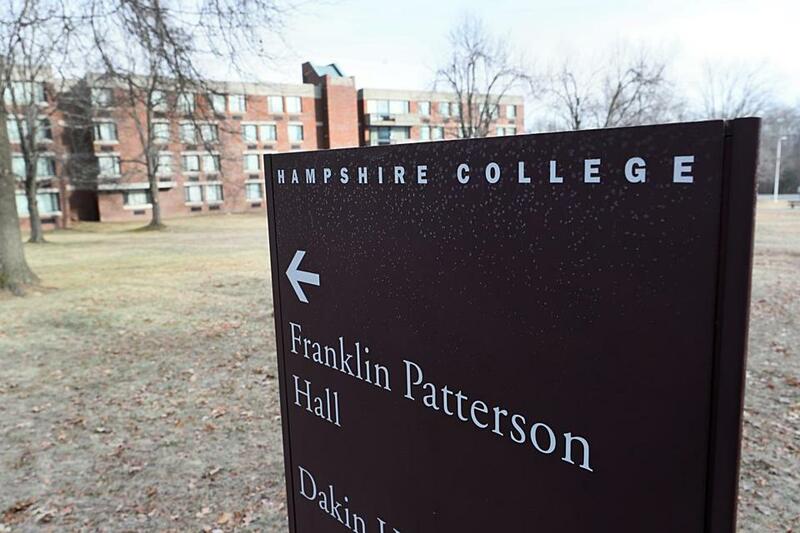 AMHERST — In a sign of New England’s swiftly evolving higher education landscape, Hampshire College on Tuesday announced its desire to merge with another educational institution, citing financial strain that threatens its future. The school is also evaluating whether to admit a freshman class for the fall. The news came in an e-mail from the president of the liberal arts college in Amherst, which is known for its nontraditional curriculum and gradeless courses. “When we look several years out, we are concerned about our future,” the president, Miriam Nelson, said in an interview. The potential merger adds new depth to the crisis facing small colleges across the country. Hampshire is one of the more elite schools to announce such plans. So far, at least in New England, the schools that have merged or closed have been less selective and less well-known. While the school is known for its nontraditional curriculum and gradeless courses, it has also churned out some high-performing alumni. Nelson said Hampshire would like to have a merger partner in place by June. That would give the schools a year to work out the transition before Hampshire’s 50th anniversary in June 2020. Officials said they will decide by Feb. 1 whether to admit new students for the fall semester. They are now notifying the 40 students offered early admission in December that there may be no freshman class. The president said she does not want the college to admit a group of students unless it could be sure it could educate them through graduation in what she sees as Hampshire’s signature style. “We feel it’s a real moral issue,” Nelson said. At the same time, Nelson said at an afternoon press conference that she’s optimistic the college will find a merger partner. Hampshire, which has 1,400 students, is part of a five-college consortium in the Pioneer Valley that also includes Smith College, Amherst College, Mount Holyoke College, and the University of Massachusetts Amherst. None of the schools immediately said on Tuesday that they were interested in merging. Hampshire’s approach to its financial troubles is markedly different from how another struggling college, Mount Ida College in Newton, handled similar challenges. Officials there sparked outrage last spring when they announced the college would shut down after many incoming students had already submitted deposits and turned down other schools. Several other schools in the region have faced similar challenges. Wheelock College merged last summer with Boston University. Newbury College in Brookline announced last month that it will close after next semester. The College of St. Joseph in Vermont is also likely to close soon because regulators plan to withdraw its accreditation. Nelson said the Wheelock College partnership with BU is a “good example” of how to handle the merger of schools. She said she hopes that Hampshire faculty and staff will be part of the new entity but she also said she expects some disruption. The news comes as students are just beginning to return to campus for the spring semester. On Tuesday the doughnut-shaped residence halls and sprawling campus lawns were mostly empty. Tieran Rosefield, 21, a third-year student, said she and her friends were shocked by the development. They wonder what the institution will look like when they graduate, what this means for their financial aid packages, and whether their professors will remain as the college looks for a partner. Rosefield, who is from Minnesota, returned to campus before her classmates so she could start her work study. She said she wants Hampshire to thrive so other students like her, who want to learn a little differently but need financial aid, will have options. Yet she worries that any merger will require Hampshire to sacrifice many of the characteristics that appealed to her in the first place: the ability to chart your own course of study, the lack of a traditional grading system, the fierce commitment to social justice issues. Tuition at Hampshire is $50,000, plus $14,000 for room and board. Like most other small private colleges, Hampshire discounts its tuition to attract students, by an average of 55 percent. But because the school depends heavily on tuition to operate, even a small number of students who choose not to attend can create a significant revenue problem. Nelson said applications were up this year over last, but enrollment has been slowly declining over the years. This is a trend at many schools in the region, because of increased competition among colleges and a declining number of college-age students. Higher education experts were not surprised by the news. New England is predicted to experience some of the most rapid declines in the college-age population in the country. Hampshire also falls in the mid-tier level of schools that are the most vulnerable. “They’re good, but they’re not Williams or Amherst, so they don’t draw the same number of students applying. We see it everywhere around the country right now,” said Joe Garcia, the past president of the Western Interstate Commission for Higher Education, which produces some of the most well-respected demographic research about college-aged students in the country. Asked about the news on Tuesday, Governor Charlie Baker applauded the “proactive” way the school has chosen to approach its difficulties. Located on 800 acres of former farmland and apple orchards, Hampshire opened in 1970 as an educational experiment to challenge the traditional liberal arts model. It was founded by the presidents of the other four schools in the consortium as an experiment in innovative education. The college runs entirely on solar-generated electricity, and its endowment is known for investing in what it deems socially responsible causes. Students are encouraged to design their own interdisciplinary programs of study and receive written evaluations rather than letter grades. 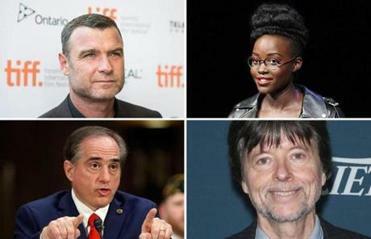 Alumni include the documentary filmmaker Ken Burns; actors Lupita Nyong’o and Liev Schreiber; and Gary Hirshberg, chairman and former president and CEO of Stonyfield Farm yogurt. Nelson became president in July. She said she knew that one of her big tasks would be to chart a course for the school’s future, and she knew it faced financial challenges. Since taking over, she has launched an effort to plan for the future, and in October she put out a statement that said the school should be ready for big change. In hindsight, the president said, Hampshire could have done more to better market itself. “Hampshire did not invest in communicating what we did, and I think that probably hurt us a bit, because it’s a competitive environment,” Nelson said. Gaye Hill, chairwoman of the college’s board of trustees, said the college has always struggled with money because it was never well endowed, but external pressures, including changing demographics, have pushed things too far. Hill said it is too soon to know what form a partnership or merger might take. “Hampshire College will continue. We don’t know what that’s going to look like,” she said.